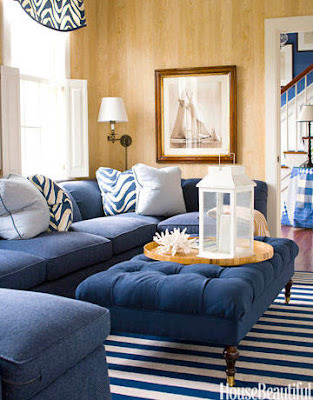 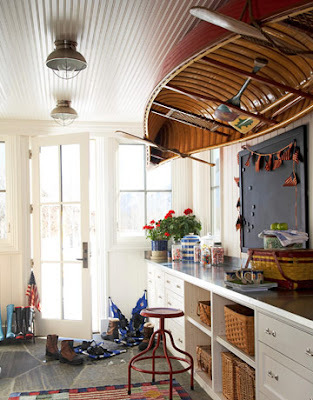 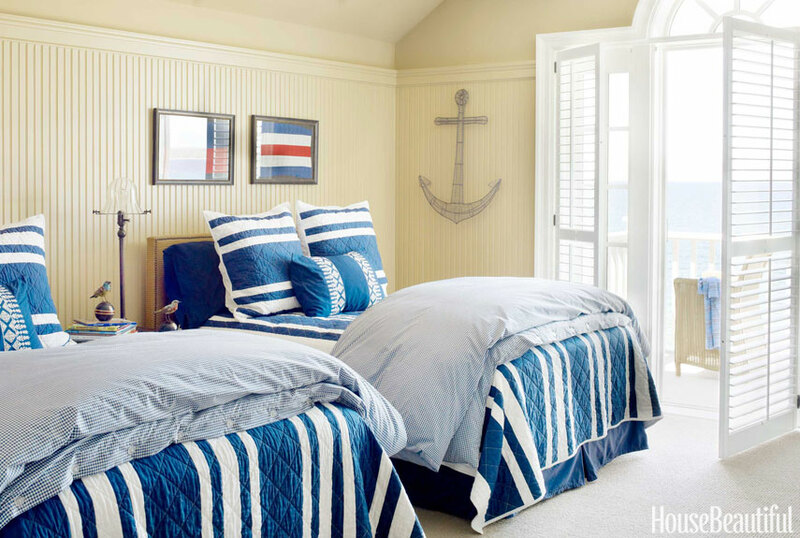 My sister sent me a link to House Beautiful's 50+ nautical inspired rooms. 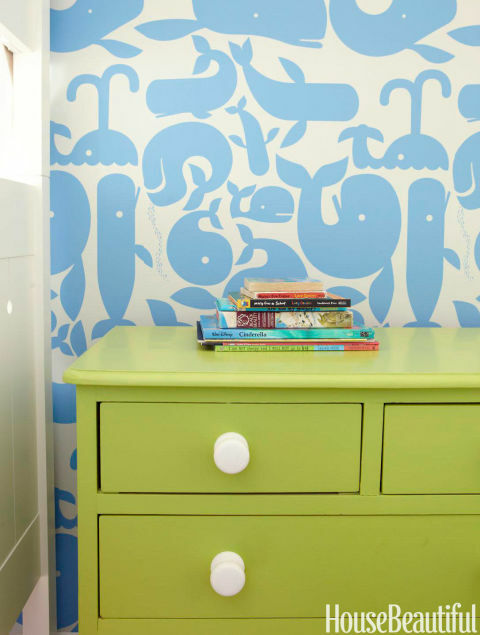 This wallpaper is so fun, especially for a kids bedroom! 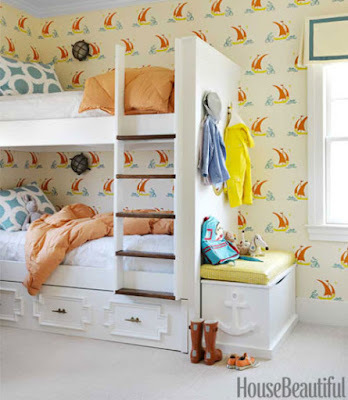 Check out the anchor on the storage bench! I would love a headboard like that! 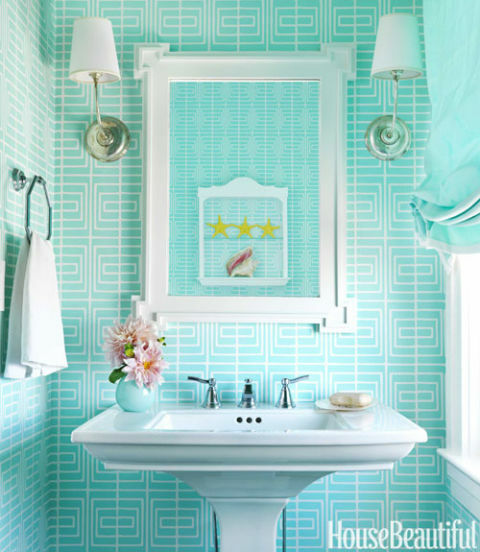 How fun is this brightly colored bathroom? 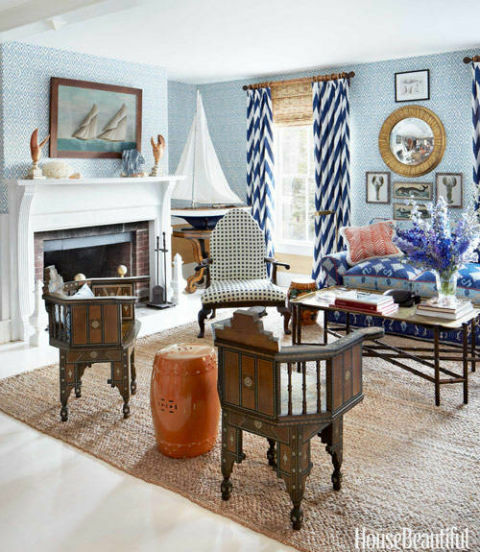 This room has a lot going on but I think it works!